Christopher Columbus discovered Grenada in 1498. The island was already inhabited by the Carib Indians, who had migrated from the South American mainland, killing or enslaving the peaceful Arawaks who where already inhabitants here. The Amerindians called their island Camerhogue, but Columbus renamed it Concepcion. However, passing Spanish sailors found its lush green hills so evocative of Andalusia that they rejected this name in favor of Granada. The French then called it La Grenade, and the British followed suit, changing Grenade to Grenada (pronounced Gre-nay-da). Aggressive defence of the island by the Caribs prevented settlement by Europeans until the 17th century. In 1609 some Englishmen tried and failed, followed by a group of Frenchmen in 1638; but it was not until 1650 that a French expedition from Martinique landed and made initial friendly contact with the inhabitants. Hostilities between the Caribs and the French broke out almost immediately afterward, as the French endeavoured to extend their control over the whole island. Determined not to submit to French rule, the Caribs fought a succession of losing battles, and ultimately the last surviving Caribs jumped to their death off a precipice in the north of the island. The French named the spot "Le Morne de Sauteurs," or "Leapers' Hill." For the next ninety years, the French struggled unsuccessfully to keep the island from falling into the hands of the British. 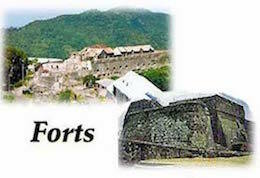 Fort George and Fort Frederick, which still command the heights overlooking St. George's harbour, are relics of that fight. 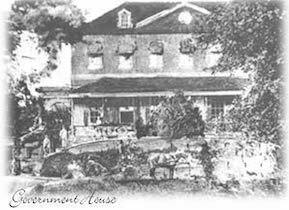 Finally, under the Treaty of Versailles in 1783, the island was permanently ceded to the British. Having gained stable possession of Grenada, the British immediately imported large numbers of slaves from Africa and established sugar plantations. In 1795, however, British control was seriously challenged once again, this time by Julian Fedon, a black planter inspired by the French Revolution. Under Fedon's leadership, the island's slaves rose up in a violent rebellion, effectively taking control of Grenada. Although the rebellion was crushed by the British, tensions remained high until slavery was abolished in 1834. The site of Fedon's Camp, high up in Grenada's beautiful central mountains, is today a popular destination for hikers. 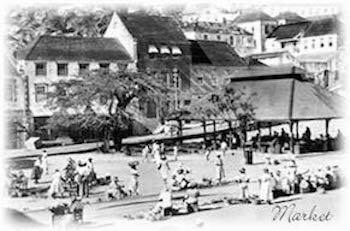 In 1877, Grenada became a Crown Colony, and in 1967 it became an associate state within the British Commonwealth before gaining independence in 1974. Despite the island's long history of British rule, the island's French heritage (both colonial and revolutionary) survives in the names of places, its buildings, and its strong Catholicism. 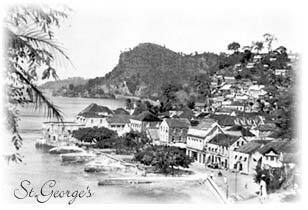 In 1979, an attempt was made to set up a socialist/communist state in Grenada. Four years later, at the request of the Governor General, the United States, Jamaica, and the Eastern Caribbean States intervened militarily. Launching their now famous "rescue mission," the allied forces restored order, and in December of 1984 a general election re-established democratic government. The last 20 years have been a peaceful, democratic and fruitful. Back to normal existence, which has included many new building structures and vastly improved infrastructure. Grenada continues to grow, while still evoking the idyllic lifestyle of the Caribbean of old, which portrayed that rare quality called gracious living.